This has not been the greatest week for me. I have had a rotten, sinking cold which had me confined to my bed for 24 hours and rendered physical exercise impossible! Ok... not impossible but unpleasant enough a prospect for me to have done nothing over my usual for the second half of the week. I am still snotty, coughing and wheezing now so it may well be a few more days before I attempt the wii fit again although I will be walking to town tomorrow morning. Hubby had a bit of a panic about his weigh in at the start of the weekend. He had been telling me what he had been eating for his lunch at work, feeling ever so proud and making healthy choices, and he saw me wince. There was nothing wrong with the things he had chosen, dried fruit, nuts, baked crisps instead of fried etc. All of these are great.... but not all in one sitting. So we googled the food he had eaten and worked out the points. He had eaten a good 15+ more than he should have. His face went grey! So he says "What can we eat that has NO points in it??" and I started to make 1 point soup (it should be 0 point soup, but I like to cook the veggies in a little oil before I blend them into soup, they taste better that way) and we have had that for one meal a day, with some bread. Yesterday was weigh in day. We wasn't looking forward to it. I was sure I would be a Stay The Same or even a dreaded Gain! Hubby was convinced he had gained too. 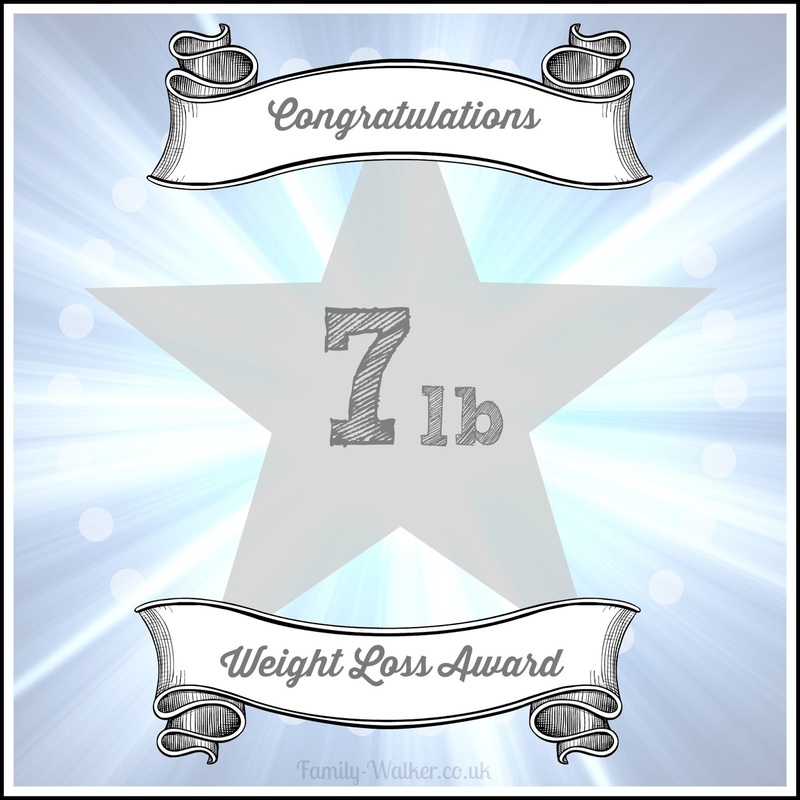 Imagine how happy we were when we saw that I had lost 2lb and the Hubby had gone and lost 3lb! Total of 2 1/2 stone loss since November!!!! Trying to Wii Fit when you are sick, aching and coughing is not a good idea. Veggie soup can be healthy AND tasty! Lose 2lb this week and get under 13 stone!